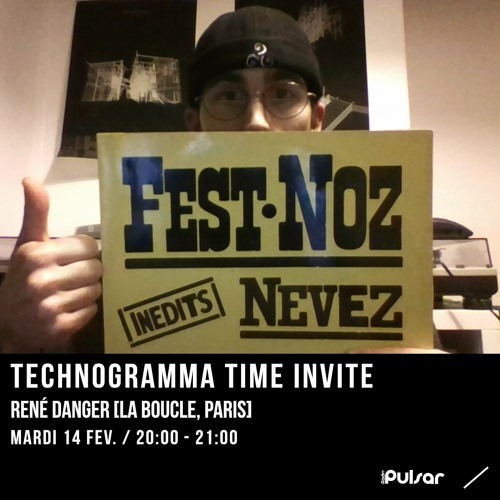 René Danger from Parisian crew La Boucle made a mixtape for the last Technogramma's radio show on 02/14/17 ! Japanese stuffs, original celtic music, ambient, afro, dub and many more... He will be with us Poitiers for a live act in a secret place then in dj set at the famous venue La Luna Disco Club with his buddy Milo and the tremendous Blueboy ! Catch them everywhere on the internet : http://www.facebook.com/CollectifLaBoucle https://soundcloud.com/la-boucle-1 http://laboucle.co https://soundcloud.com/rene-danger ASK FOR TRAXXX in the comment section.